My first ever purchase on Lazada Philippines was a smartphone - an Asus Zenfone 5 for ₱6,495 that I reviewed on Pinoy Techno Guide. My first package from Lazada delivered by LBC. I was able to use the ₱200 voucher and it qualified for free shipping because it’s more than ₱1000. The item was shipped via LBC 3 days after I ordered and arrived 4 days later here in Ormoc City. My next purchase from Lazada was a Redmi 1S for ₱5,599. It was immediately shipped via 2GO the day that I ordered. 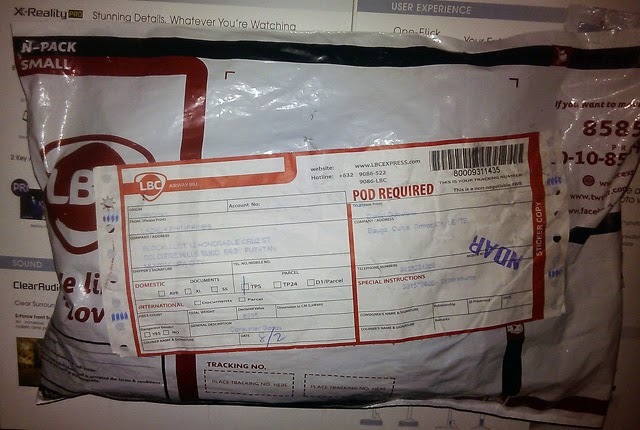 However, it took 6 days for the item to reach me in Cebu. After ordering the Redmi 1S, Lazada sent an email saying that they are giving me a ₱99 voucher so that I can have the Mi Pistons v2 free of shipping. I grabbed the chance and ordered the in-ear earphones. It was shipped via Lazada Express and delivered to me by two guys in a van 3 days later in Cebu! Should you buy from Lazada? Lazada package delivered by 2GO. Based on my experience, Lazada Philippines is legit and their products are genuine. Just read the description on the product page, read reviews and search for the item on Google. It’s also very convenient that Lazada has several modes of payment. For my first order, I used my EastWest ATM card which doubles as a debit card. Check yours if it has a Mastercard or VISA logo. For my next transactions, I opted for the Cash on Delivery option and paid the delivery guy with the price of the item. 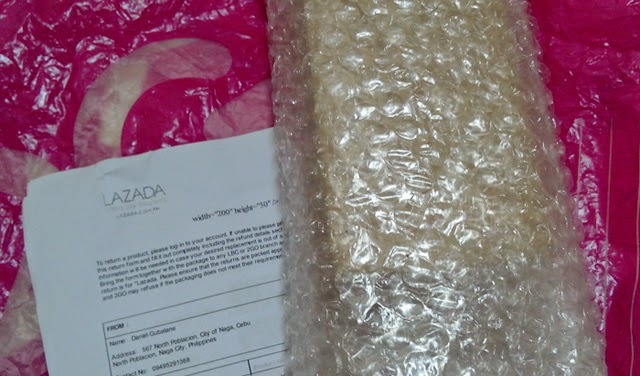 When you receive your item, you’ll also observe that it is enclosed in a bubble wrap. That protects your items from damages due to rough seas, roads or handling. 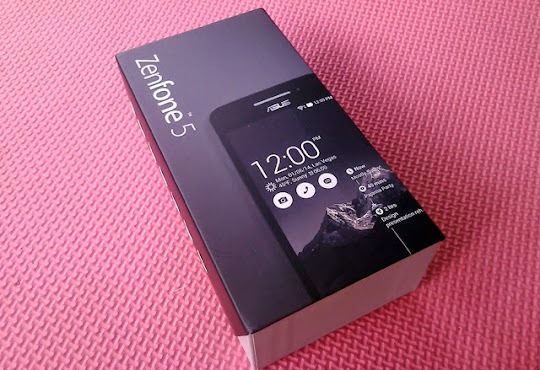 Meet the Asus Zenfone 5 out of the package from Lazada! Of course, there are issues with Lazada. First, delivery time is very long especially if you are outside Metro Manila. This is further exacerbated if they use 2GO as the courier. LBC and Lazada Express do a very good job because they are fast and provide constant update. All in all, I’d recommend Lazada to anyone who wants to buy something which isn't available in his or her area. You don’t need to spend money for fare going to Cebu or Manila anymore just to buy the items that you need or want. You're welcome. I know several people have bad experiences with Lazada but so far, my transactions were smooth. Hi! In my case I experienced both good and bad sides. However I still buy from them since the problem was already solved. One of the pros is shipping is very fast. However it depends on your location and item availability and origin. My first smartphone purchase took 2 weeks because it's from abroad. The good thing is they answered my inquiries and updated me during the long time of waiting. The other one which is just recently bought is the lenovo phone. It was so great since it arrived the next day. The not so good side I experienced is on the return and refunds. But it happened long time ago and product was not from them but from a merchant. Although I requested it to be refunded they gave a replacement which was also defective. I returned it again. Returning was easy. You can just bring the item to LBC. No need for any fee. Moreover, upon approval they will refund your payment but there is a time frame they follow depending on the method of payment. Overall, I can think buying from Lazada is really convenient. You don't need to spend time searching for stores who has stock of the items. In addition to that, you can get what you want for an affordable price. It's because they offer a lot of discounts. Anyway, just to add here since you mentioned about credit cards like Mastercard we can use for our purchase. You can get 10% discount for a lot of selected items when you buy using Mastercard every Mondays.